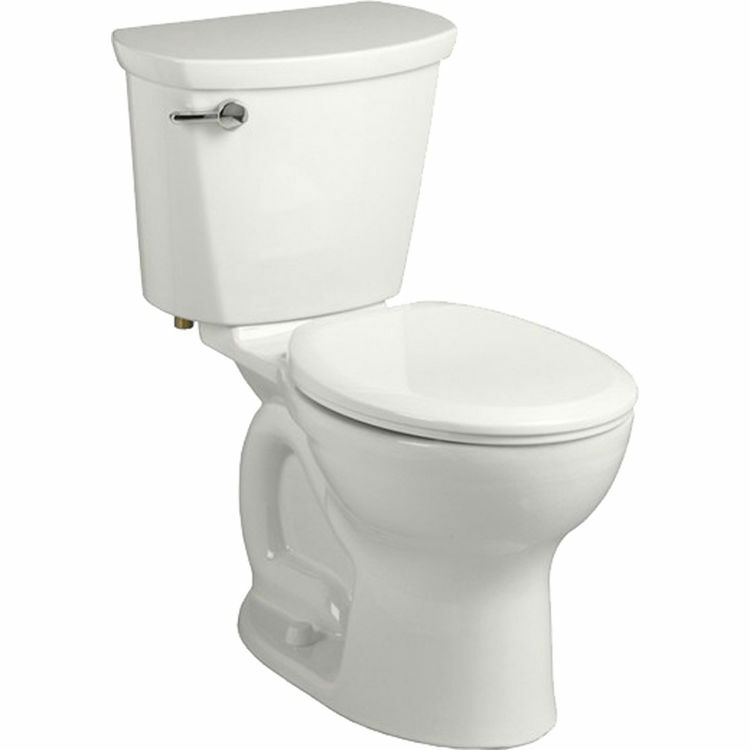 American Standard 215B.A104.020 Cadet Pro Right-Height Rounded-Front 12" Rough Toilet, White. This vitreous china constructed elongated toilet meets EPA WaterSense criteria, a trade-exclusive tank, a PowerWash rim that scrubs the bowl with each flush, a robust metal left-sided trip lever/metal shank fill valve assembly, an EverClean surface, a 4" piston action Accelerator flush valve, a 12" rough-in, a chrome finish trip lever, and a fully glazed 2-1/8" trap way. Shipping Dimensions 31.0" x 16.5" x 14.0"